Director – David M. Rosenthal, Screenplay – Brooks McLaren, Producers – Tai Duncan, Kelly McCormick, Patrick Newall & Paul Schiff, Photography – Peter Flinckenberg, Music – Atli Orvarsson, Visual Effects Supervisor – Eric Robinson, Visual Effects – Mr X, Special Effects Supervisor – Warren Appleby, Makeup Effects/Prosthetics – Steve Newburn, Production Design – Phil Ivey. Production Company – Sierra Pictures/Paul Schiff Productions. Just before he travels to Chicago from Seattle on business, Will Younger’s girlfriend Samantha Sutherland confirms that she is pregnant. In Chicago, Will is invited over to Samantha’s parents place for dinner but immediately ends up on the defensive from her prickly, ex-military father Tom and leaves. In the morning, he is on the phone to Samantha when something happens and the call goes dead. On the news, there are stories of an unknown catastrophic event having struck the Western seaboard. With all flights cancelled, Will returns to Samantha’s parents. Tom announces that he is going to drive the two thousand mile trip to Seattle to ensure that Samantha is okay. Will agrees to join him and they set out. However, as they enter the area affected by the event, taking on board a young Native American girl mechanic Ricki, they find themselves in an increasingly lawless wasteland and under attack by marauders. How It Ends was the sixth film for David M. Rosenthal, whose previous films have all been a diverse range in the drama, documentary and comedy fields. He is next signed to direct the remake of Jacob’s Ladder (2019). How It Ends was released to Netflix. How It Ends premiered to a string of negative reviews. I stand out from the crowd on this one and quite liked it. I think a part of the problem that most people had with it is that it didn’t conform to their expectations. From the initial capsule synopsis – people take a journey into a zone affected by a mysterious catastrophe – I was expecting something akin to the recent Annihilation (2018) about a venture into a familiar world turned inexplicably alien. There is the odd moment that falls in that arena – a strangely powerful storm, a deliberate vagueness about the nature of the catastrophe – but the film is otherwise mundane in nature. It can be considered more analogous to a work like Carriers (2009) or The Rover (2014), which both consist of a road trip across a world where society is in the process of visibly collapsing. The universal criticism made of How It Ends is that it never explains the nature of the catastrophe and reaches an irresolute ending. (One wonders how any of the same critics who seem to parrot one another without any concept of being able to look under the surface of a film would have dealt with Alfred Hitchcock’s The Birds (1963), which likewise leaves the nature of its attack and the fate of the protagonists unsaid). In truth, for some years now, there have been a series of catastrophe, End of the World or Last People on Earth films where the nature of the catastrophe has been left enigmatic or removed from the story. Examples include the likes of The Trigger Effect (1996), Last Night (1998), The End of the Animal (2010), Vanishing on 7th Street (2010), The Midnight After (2014) and Bokeh (2017). The effect created by this is that the hows and whys of what happened are irrelevant. In other words, these are stories neither interested or able to afford copious spectacles of mass destruction a la Roland Emmerich and Michael Bay, rather they are focused on how the survivors react to the new world or the destruction of all that is familiar to them. Most of the abovementioned films played the arthouse so I suspect the reason that people were dissatisfied with How It Ends is because, while it uses a familiar device to me, it plays in a mainstream environment – Netflix release – to an audience unfamiliar with these other works. The nature of the catastrophe is explicitly avoided – it is implied it could be extraterrestrial in nature. The nearest explanation we do get is Mark O’Brien offering up a conspiracy theory that the disaster was caused by nuclear weaponry detonated by the government, although it is clear that this is just him spitballing ideas. The title can be seen as an ironic one for how the story ends is one that the film leaves undecided – the film ends with the surviving characters attempting to flee from a vast oncoming wavefront of smoke (?) but fades out without letting us know whether they survive. 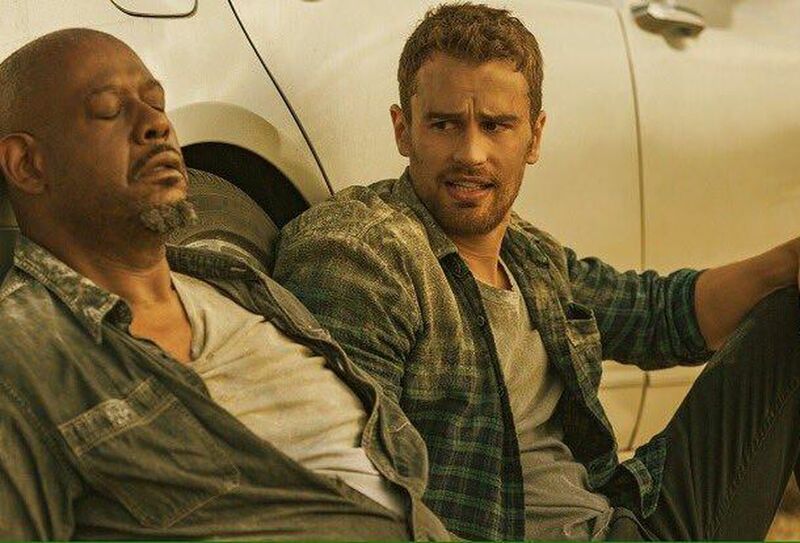 In reality, David M. Rosenthal is more interested in telling a story about two men – Theo James and would-be father-in-law Forrest Whitaker – who are initially quite opposed in their views and their thawing during the course of the journey across a world where society is increasingly collapsing. The film is particularly well served by Forest Whitaker who starts with harsh demeanour and emerges to reveal himself as a real badass as the action kicks in. 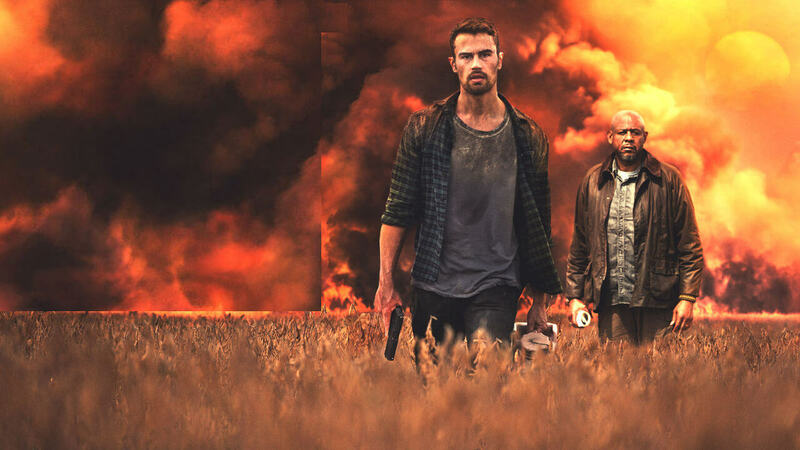 Theo James, previously stuck in teen pretty boy mode, most noticeably in the Divergent films, also capably stretches himself in a more grown-up role. Grace Dove as the native girl who joins the journey is good but never gets the screen time you feel that the character should have done. David Rosenthal directs some very nicely photographed landscape shots and visions of the world in flame, all underscored by a soundtrack that gives proceedings a thrumming urgency.